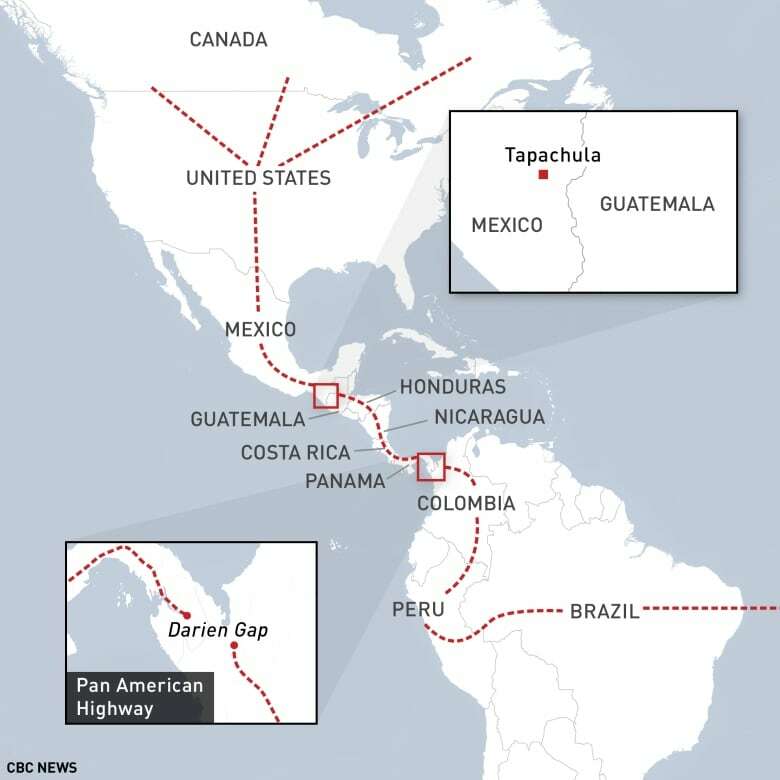 One of the world's busiest migrant corridors runs from Central America through Mexico. Many say they began their journeys — which take between three and five months and cost upwards of $20,000 US — with Canada in mind. Others changed their plans and want to reach Canada in fear of U.S. President Donald Trump's immigration policies. Almost none speak any Spanish. They are easy targets for violent smugglers and extortion by immigration agents along the well-trodden route. Most say they met migrants of their country of origin in almost every country they crossed. By the time they reach the Mexican border, they are often travelling in groups of between five and 20 people. 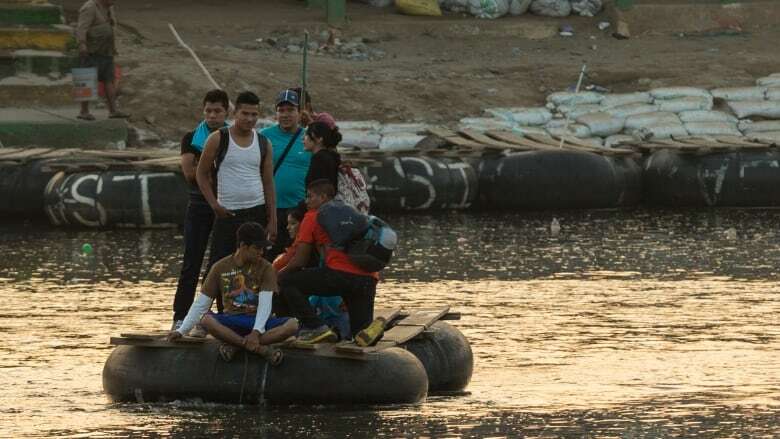 They cross into Mexico by raft at an informal but dangerous river crossing used to transit guns and drugs as well as people. Whereas most Central American migrants pay approximately $1 US to cross, African and Asian migrants are charged nearly 10 times as much. 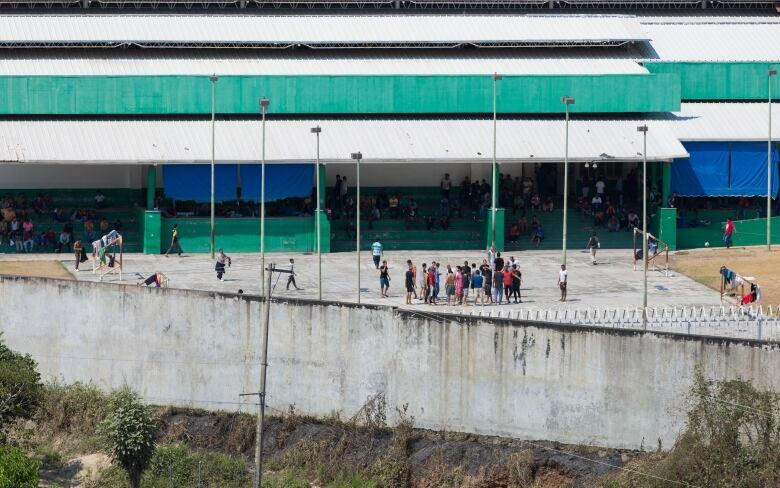 The immigration centre in Tapachula is the largest in Latin America. Protests against overcrowding are a regular occurrence inside. Many of the hundreds of thousands of Central American migrants who cross into Mexico are often detained here before being deported by bus back to their countries of origin. African and Asian migrants, whose countries do not have deportation agreements with Mexico, line up outside to apply for a temporary transit visa. Last year, the immigration centre in Tapachula registered 442 African migrants in a single day. 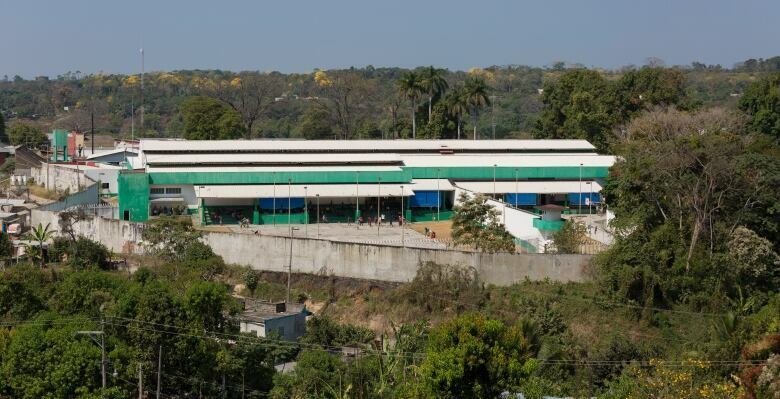 Simanto arrived at the Tapachula detention centre on a hot Sunday afternoon with five fellow migrants from Bangladesh, India and Nepal. A Hindu, Simanto fled his home after a spike in violent attacks against his country's long-persecuted minority group. The 25-year-old says his family, which sells fish, sold everything they had and gave him $4,000 US to make the trip to Bolivia and up through the Central American corridor to the United States. 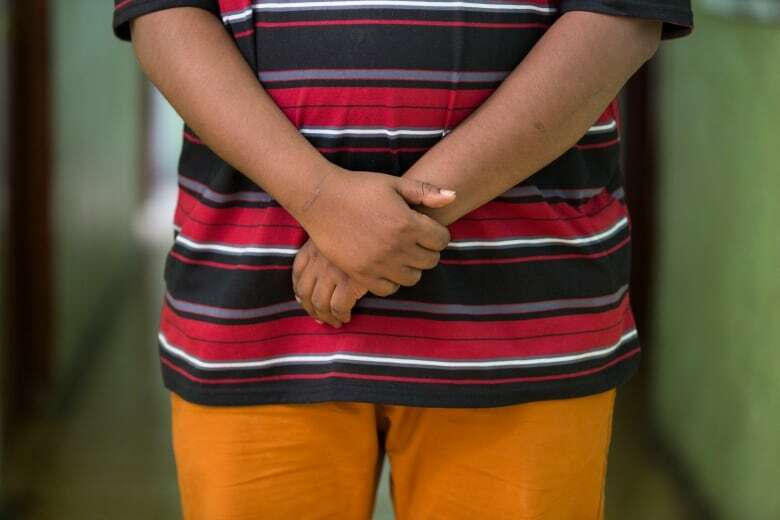 But Simanto, who wished not to show his face or use his last name because he fears for his safety and the safety of his family at home, says he doubts he will be granted asylum in the United States. He says he is considering trying to reach Canada and may risk crossing illegally into the U.S. to do so. He owes that to his parents, he says, who gave up everything to help him leave Bangladesh. Many attempting to reach Canada through the Central American corridor are economic migrants. 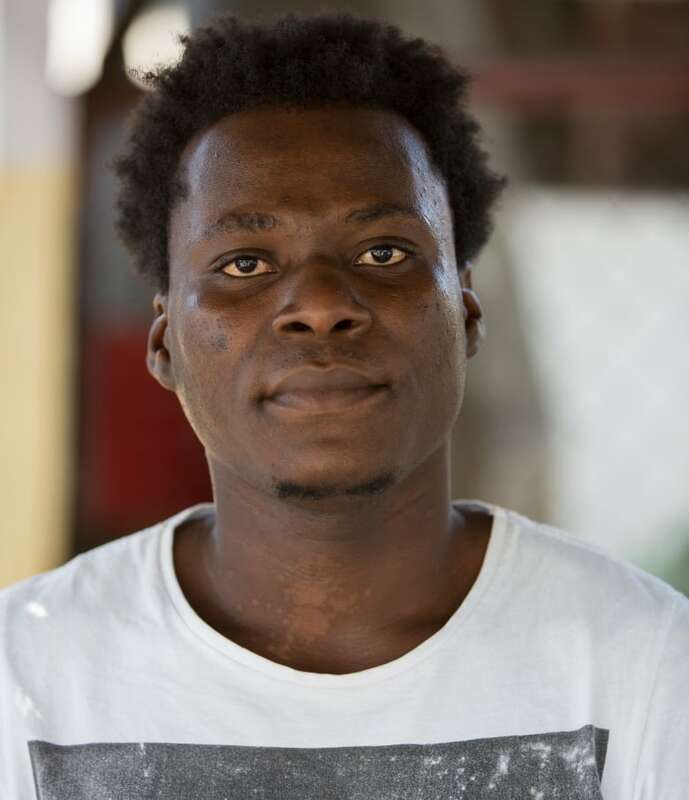 Pierre Gracia, 21, left St. Marc, Haiti, with a group of nearly 20 country men and women. 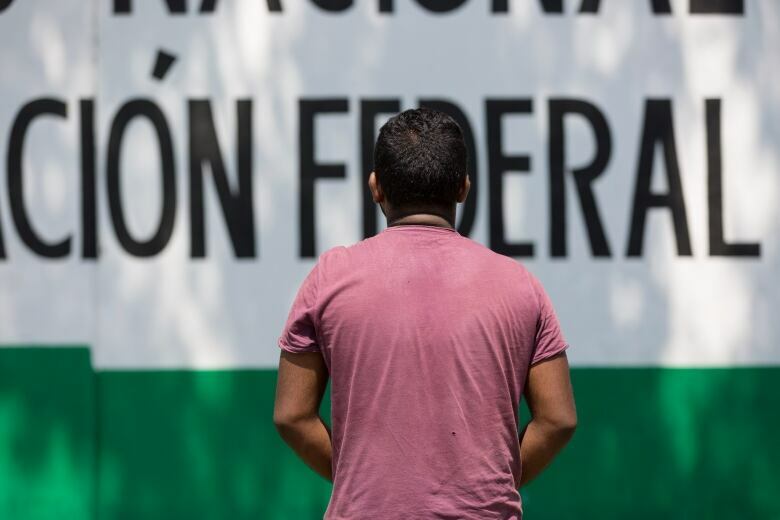 They say the immigration policies of U.S. President Donald Trump have scared them into remaining in Mexico for now rather than passing through to the U.S. They aren't sure how they will reach Canada, but say it is their country of preference. They call her Mama Africa. Concepcion Gonzalez Ramirez runs a $3-a-night hostel just off of Tapachula's main strip that is known among the African migrants who pass through Mexico. Many migrants stay here in groups, planning their next steps or waiting for friends who have been detained by immigration authorities before proceeding north. Ramirez says she teaches the migrants who stay here about the local food and often provides them with small change to buy coffee and bread. She says people often prey on the migrants, believing they have access to cash, but she lives with them and knows that they travel with only the clothes on their backs, often eating only one meal a day. Women face additional risks along the migrant corridor, including sexual assault and exploitation. Rahma, who wished not to show her face or use her last name because she fears for her safety and the safety of her family back home, says she fled Somalia after her husband was killed. Her uncle helped her secure a passport and connect with a smuggler who helped her reach Brazil. 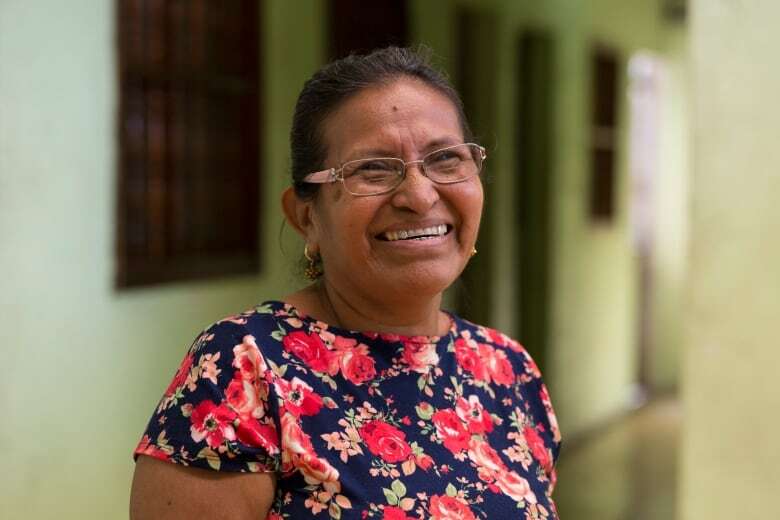 Rahma spent six days in Tapachula's detention centre before being released. After several months travelling across South and Central America, she says she's too scared to enter Trump's United States. Khadr fled Mogadishu and that country's civil war. The 31-year-old is staying in the Mama Africa hotel with nearly a dozen other Somalis, all of whom are on 20-day visas that run out in less than two weeks. They are unsure of what to do next. Khadr, who also wished not to show his face or use his last name because he fears for his safety and the safety of his family back home, says the Canadian people and Prime Minister Justin Trudeau are welcoming of refugees, citing Canada's resettlement of Syrians. He says he lost one of his toes while trekking through the Darien Gap, the wild jungle that connects Panama and Colombia. He knows Ghanaian refugees have also lost fingers and toes crossing the Canada-U.S. border in freezing temperatures, but he says nothing will stop him from reaching Canada. A previous version of this story mistakenly referred to the Darien Gap as an area of wild jungle that connects Panama and Costa Rica. In fact, the Darien Gap is between Panama and Colombia.